UNITED NATIONS, July 6 (APP):The head of the United Nations Refugee Agency, UNHCR, has appealed to Jordan to open its border with south-west Syria to help protect around 750,000 civilians who are caught in the crossfireâ, amidst airstrikes and heavy shelling. 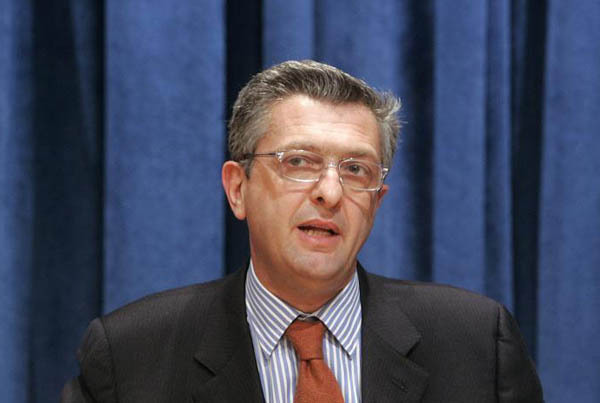 “More than 320,000 people are now displaced and most are living in dire and insecure conditions, including some 60,000 people camped at the Nasib/Jaber border crossing with Jordan,” UN High Commissioner for Refugees, Filippo Grandi said, in a statement on Thursday. â€œThere are large numbers of women and children among the displaced, as well as elderly, injured and sick people and I am especially concerned about them, he continued, adding that among the displaced are local humanitarian workers who have â€œselflessly served the civilian population throughout the duration of the conflict. High Commissioner Grandi underscored the immediate priority of finding a political solution to the conflict to spare civilians further suffering. Fighting between pro-Syrian government forces and opposition militia, has been intensifying for weeks across Dara Governorate, close to the Jordanian border, as well as the Golan Heights border area with Israel. â€œI call on all parties to redouble efforts to cease hostilities, to allow humanitarian actors to deliver life-saving assistance, shelter and evacuate the wounded,â€ Mr. Grandi said, spelling out that civilian protection, safety and security along with that of humanitarian workers is of â€œutmost importance.â€He said that while the UN and partners are doing what they can to deliver life-saving aid to the people of south-west Syria â€“ both from within the country and across the Jordanian border â€“ the security situation is hindering efforts to reach many people in dire need. It is â€œa core principle of international humanitarian law that needs to be guaranteed by all parties to the conflict and the international community at large,â€ he stressed. â€œI commend Jordan for generously providing protection to hundreds of thousands of Syrian refugees since the beginning of the crisis and for providing and facilitating assistance to those in need inside Syria,â€ he said. â€œThe Secretary-General fully supports todayâ€™s statement by the United Nations High Commissioner for Refugees, Filippo Grandi,â€ Spokesman Stephane Dujarric, adding that there needed to be an â€œimmediate suspensionâ€ of hostilities and the resumption of negotiations. â€œHe calls on all parties to take all necessary measures to safeguard civilian lives, allow freedom of movement, and protect civilian infrastructure, including medical and educational facilities, at all times, in accordance with international humanitarian law and international human rights law,â€ the statement continued. â€œThe Secretary-General further reiterates his call for the United Nations to be allowed to conduct cross-border and cross line humanitarian deliveries to resume without further delay for the benefit of people in need within Syria,â€ it concluded.